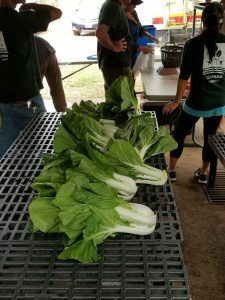 Farming can be a very rewarding pursuit: It can sustain your family and your community, give you independence, stimulate your mind, and feed your body and spirit. It can, however, be very challenging: Disease, weather, and pests can disrupt well-laid plans; There is so much a farmer needs to know about soil health, different crops, nutrition, pest and disease control, marketing, and finances (to name a few) in order to be successful. Do you think you might have it within you to do the hard work and learn the various aspects of farming? To meet the inevitable challenges with creativity and determination? 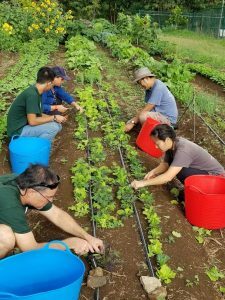 Commit to Hawaii’s premier beginning farmer training program with the goal of becoming a successful Farmer? If so, then we’re ready to help you! 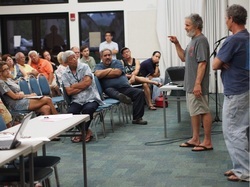 And thank you for joining us in sustaining Hawaii’s future! The programs below are designed to be taken sequentially. Register to attend; Free/open to the public. 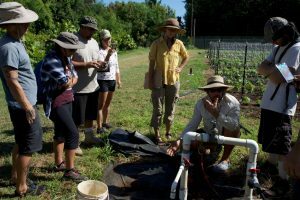 Learn about the program, the importance of agriculture in Hawaii, and the need for farmers in the state. Understand what it takes to be a farmer and the options available for getting started. 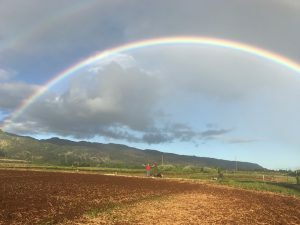 Understand the commitment level to participate in the GoFarm Hawaii program. Network with the site coach and current participants/alumni. Receive instructions on how to apply to AgXposure. Free/application required/must be accepted to the phase. Visit a variety of farms to get exposure to commercial farms and work on various farm projects. 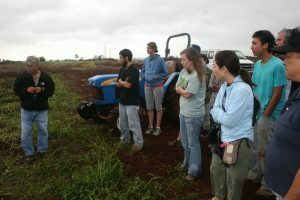 Learn about important aspects of farming and get exposure to what life could be like if an agricultural career is pursued. Network with people in agriculture (farmers/program leaders). Receive instructions on how to apply to AgSchool towards the end of the phase. 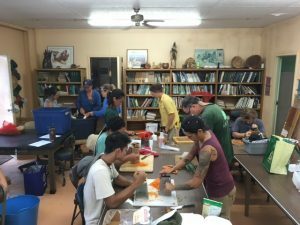 4 months of classes are held on 1 weeknight & 1 weekend day (additional time often necessary to maintain crops). A nominal tuition is required for this phase along with an application; must be accepted to the phase; partnerships may apply. Learn the fundamental principles underlying a broad spectrum of production topics. Topics delivered by specialists include: soil nutrients and plant health management, propagation, variety selection, farm equipment, Irrigation, pest control (pathogens, insects, nematodes, and weeds), post-harvest storage and handling, food safety. Apply lessons learned to establish, plant, and maintain a 1,000 sqft plot of various vegetables. Participants practice on-farm techniques related to critical production skills and learn to sell and market CSA bags with produce grown by the cohort. Participants learn of the resources available to assist them and/or further their knowledge of farming. Upon completion of the program, participants receive a Certificate of Professional Development if requirements are met. Receive instructions on how to apply to AgPro towards the end of the phase. 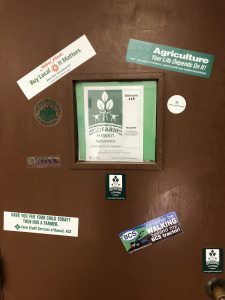 6 months of classes are held on 1 weeknight & 1 weekend day (additional time required to maintain crops; students should expect to put in a minimum of 20 hours per week). A nominal tuition and application are also required for this phase; must be accepted to the phase; partnerships may apply. Learn even more on the production topics of AgSchool with emphasis on commercial production, and coverage of business topics for the entrepreneurial farmer including Cost of Production, Crop and Business Planning, and Marketing. Practice on-farm techniques related to small-scale commercial production and apply lessons learned to establish, plant, and maintain a 5,000 sqft (1/8 acre) plot of various vegetables. Learn about basic farm planning, business management, and revenue options for farmers and implement business lessons learned to develop business goals and a plan to achieve them. Sell and market product grown on your plot. Participants will be required to meet a specified sales goal to successfully complete this phase. Network and learn about the resources available to further knowledge of farming and business. Receive instructions on how to apply to AgIncubator towards the end of the phase. Start a business growing crops on 1/4 acre of land provided by the program (can grow up to 1 acre, if specific requirements are met) for a minimal monthly fee for up to 3 years. Participants must meet specific requirements; and must follow site rules to continue in phase. Participants must attain financial goals, regularly develop production and business plans, keep detailed field and production records, responsibly maintain field, contribute to maintenance of farm infrastructure, and attend regular meetings. Participants will have access to shared equipment, infrastructure (including wash station, cooler, walk behind tractor), peers, and continued coaching. Opportunity to learn, network, develop a market, and build capital before leasing or buying land. Develop a plan to transition off the site. Applications are required. Services are available to the public. 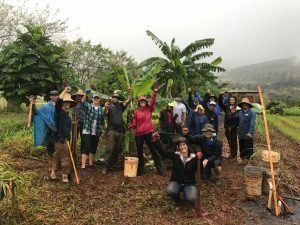 Hawaii beginning farmer training program participants automatically accepted. Statewide service area—not limited to GoFarm Hawaii locations. Most services provided at no cost. Work with the AgBusiness Team during the AgPro phase and beyond to increase chances of farm business success, discuss goals and opportunities, and establish basic business practices. 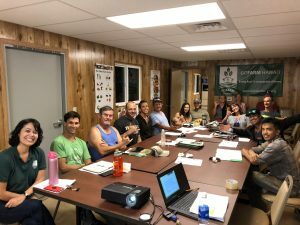 The AgBusiness Team works with businesses statewide who produce, use, or promote agriculture in Hawaiʻi. The AgBusiness Team provides intensive one-on-one business consulting for new and existing ag producers and others in the local agricultural system. Services include business planning, marketing, value-added product and agritourism development, cost and pricing analysis, financial analysis, and other guidance designed to launch and support businesses and products, lower costs, and increase sales.